With Malice Toward None --------- by Lee Harris: What Are These Guys Smoking? The Republican Party seems to be living in another America. These folks are sadly out of touch with the real world. 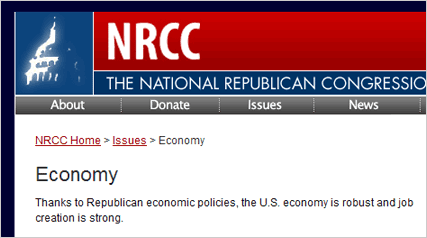 Here is the link to the full NRCC page.